Do you currently have dentures, but you cannot get used to wearing them? Do you have missing teeth and are concerned that your adjacent teeth might have started to shift? Do you hate the idea of wearing dentures even more than the thought of having a somewhat toothless smile? These are common questions and concerns, but dentures may not be your only choice. Thanks to advances in dental technology, there is another possibility. 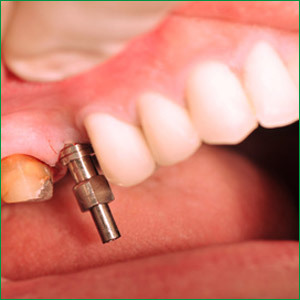 Dental implants are fast becoming the preferred tooth replacement solution. Why? They very closely mimic natural human teeth. A dental implant begins with a titanium post that Santa Monica cosmetic dentist Dr. Brightleaf surgically places into your jawbone. This post replaces the tooth root, and it will fuse into the jawbone as it heals. Once the area around the implant has fully healed and set, generally about three to six months, a ceramic tooth can be placed on the post. The ceramic tooth is carefully shaped to fit within your natural bite and tinted to match the surrounding teeth. Dental implants vs. dentures – which is best? The most obvious difference to the wearer is that dental implants are a permanent solution for replacing missing teeth. Since these implants are permanently fixed to the jawbone, you can carry on chewing, biting and cleaning these teeth in the same manner as your natural teeth. Essentially, you don’t have to think about them any more than you would your own teeth, because they are not going anywhere. In comparison, dentures do not look as natural, and they have to be regularly removed for proper care and cleaning. They are also not as stable in the mouth when talking or chewing. Because dentures sit on top of your gums instead of being implanted into your jawbone, they can become uncomfortable, lead to jawbone loss and don’t give your face the support it needs. 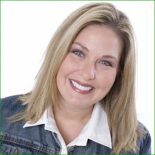 Dr. Ana Brightleaf, cosmetic dentist in Santa Monica: I would love to provide you with a better smile. You will need a full examination to properly assess whether you are a good candidate for dental implants. Give us a call, or fill out a contact form. There are no obligations. Hope to see you soon. Contact Brightleaf Dental to schedule your consultation.